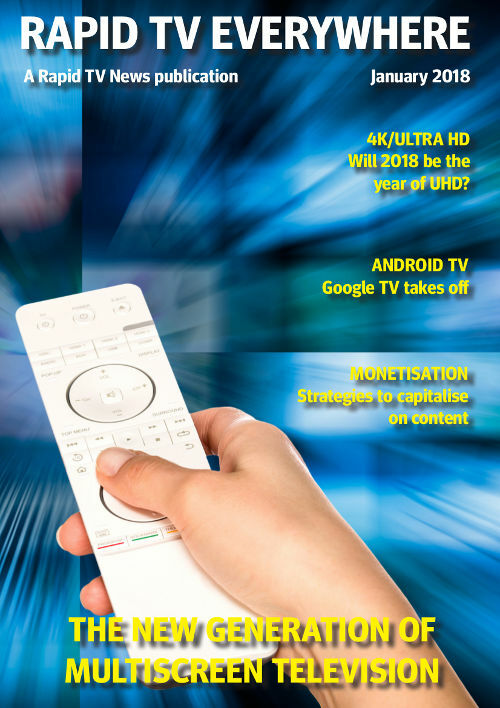 In this issue: why are 4K/Ultra HD services rolling out only slowly and what is Insight TV doing to buck this trend; what are the compelling pricing models; what is the latest in monetisation, even with hyper-targeted audiences; what prospects does server-side advertising have; how to receive a constantly good viewing experience; the last word in HDR. 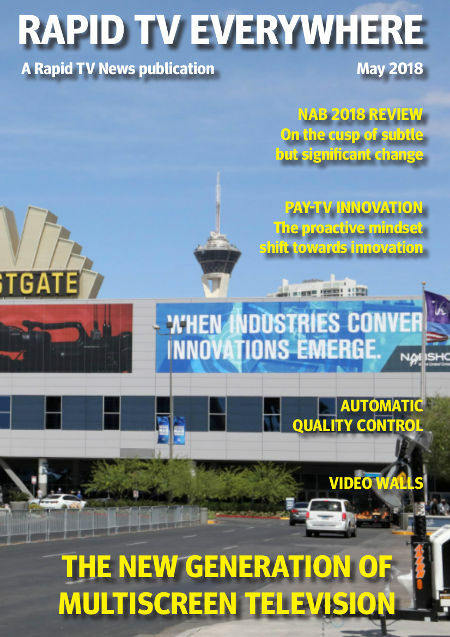 In this month’s issue: we present our review of NAB 2018 where despite an absence of a distinct or dominant theme, gave many markers as to an industry on the cusp of subtle but significant change; we also look at automatic quality control ensuring how content packages are going to pass the muster at hand off; why a huge challenge facing providers looking to innovate is the cost of replacing legacy technology and infrastructure; the future of video walls and a report from a seminar looking at how the Nordic region’s OTT leaders are responding as the supplier industry and user demands evolve. 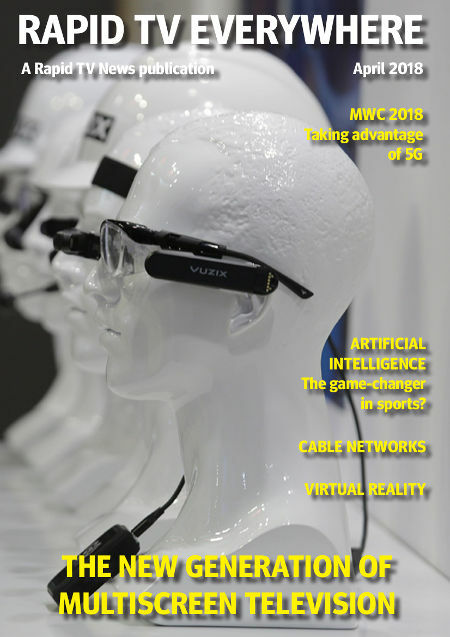 In this month’s issue: we present our pre-NAB issue and look at innovation such as breakthroughs in artificial intelligence which is now beginning to break big into TV and broadcasting and Blockchain; we also report on MWC 2018 which showed a marked transition from device to platform; we examine what are the current challenges for the cable industry; and we also take a look at streaming services and what was last year’s innovation candidate, virtual reality. In this month’s issue: we focus on video quality. 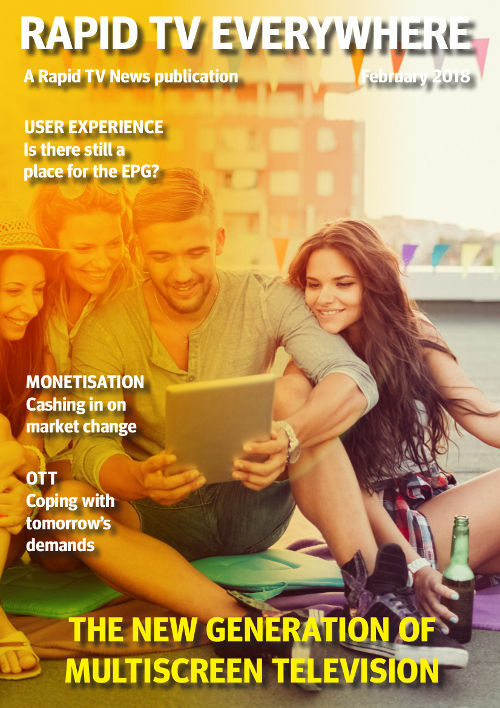 We look at hyper-personalisation and a stamping out latency-related streaming issues; what are the elements needed to make a successful business from broadcast-quality video content over IP network; we also take another look at monetisation focussing on programmatic ads; cloud based security for service providers, the use of open source software and in one of our regional focuses, this time on the very interesting Middle East region. In this month’s issue: we focus on monetisation. How can service providers cash in on their services and what’s the future of advertising in a world where subscription is booming and the leading trend for to come in the industry looks likely to be direct to consumer; the battle between the latest codec standards; a look at the recent CABSAT show and the MENA region in general; content security procedures; how linear and live are driving OTT; and where are the next generation of broadcast professionals coming from? 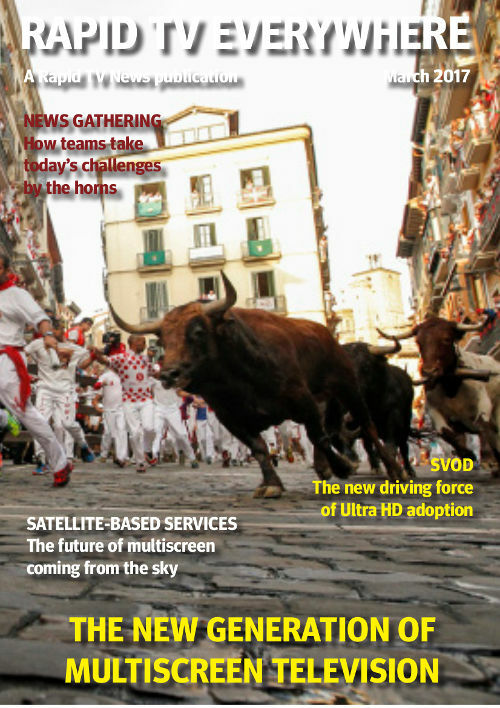 In this month’s issue: we look at 4K/Ultra HD – could this be the year that it takes off in mainstream volume? 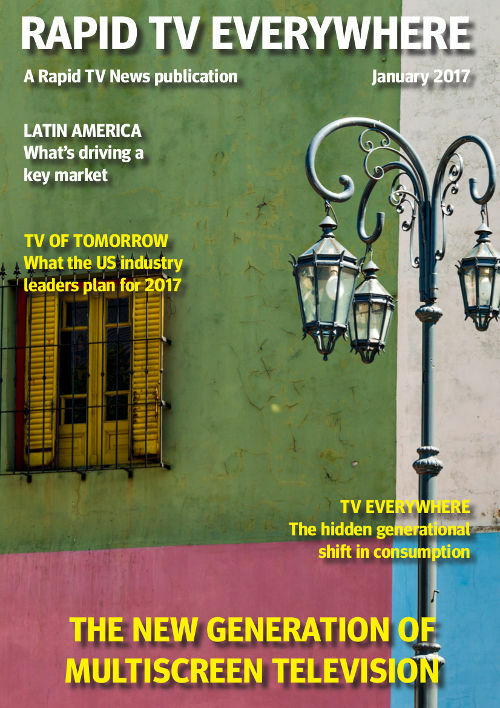 ; we present a round-up of the latest developments in Latin America where a mixed picture for pay-TV is totally balanced out by growing OTT and VOD markets driven by young and increasingly mobile markets with a huge appetite for video; we see whether 2018 is likely to be a pivotal year for operators who are ready to move away from proprietary middleware and embrace Android TV; how the broadcast industry can capitalise on content via multiple monetisation strategies; and we point out what may be the likely big advertising trends that will shape TV in 2018 and the opportunities that they will present. 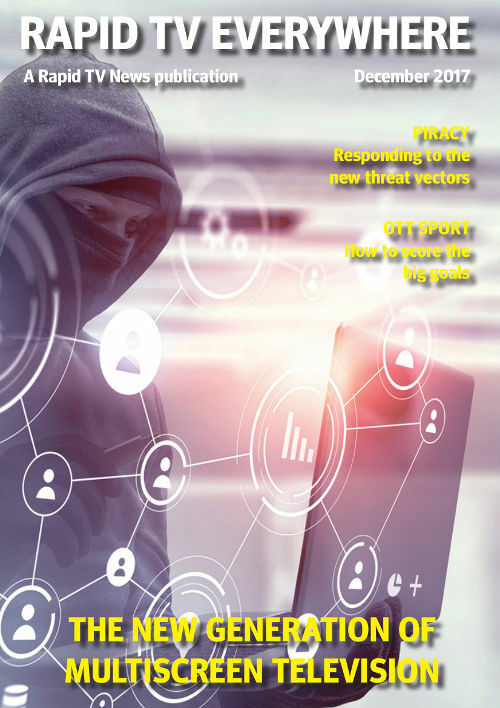 In this month’s issue: we focus on how the Associated Press (AP) has kept up its status as a trusted new source; why migrating to an IP-based broadcasting system is never easy and changing the media delivery method raises a number of key questions; we examine the changing nature of content piracy and discusses why broadcasters need to adopt a new approach to tackling it; we look at smart TV and hacking; and we finish ion the 4K/Ultra HD industry. 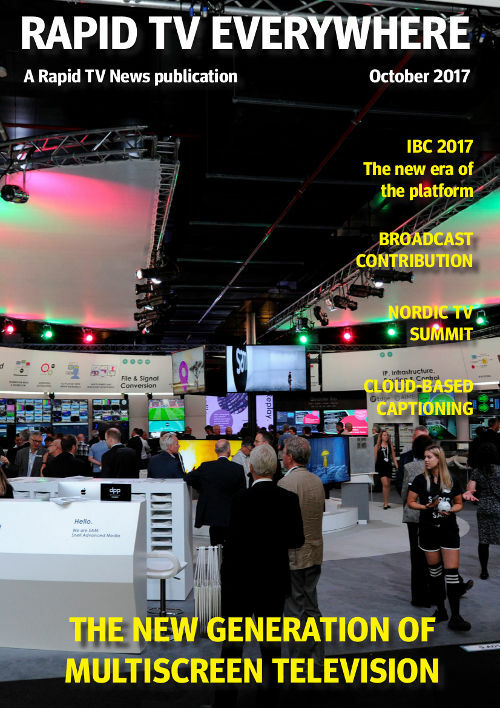 In this month’s issue: we take a look at the latest edition of IBC and why this year’s show may have shown us the future of the industry in the form of the era of the platform; a round-up of the Nordic TV Summit and why OTT and traditional viewing has reached a tipping point; the continued development of broadcast contribution; and how the cloud Is transforming captioning. 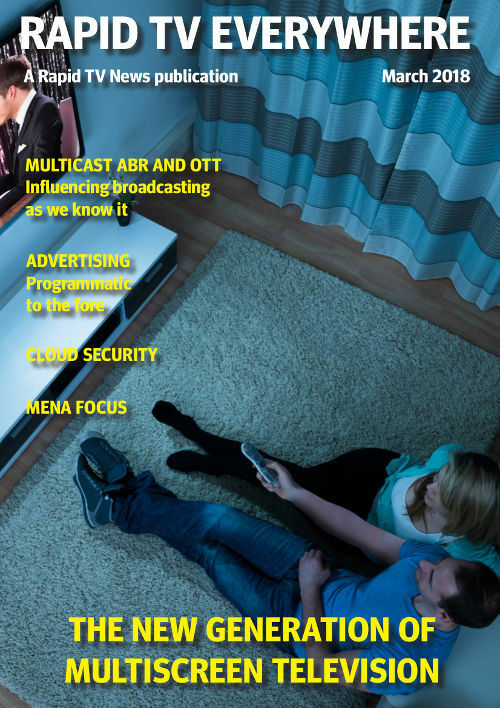 In this month’s issue: we take a look at the latest edition of the NextTV South America offering an insight as to how the Latin American TV industry is changing and expanding; we see how the OTT is changing and how broadcasters are exploring the ways in which they can extend the reach of their video content beyond its existing audience; why the media industry may be failing to anticipate and keep pace with the ever-increasing demands of ever-expanding audiences and satisfying a plethora of options; what lessons that the telecoms industry can pass on to broadcast when it comes to the move towards a new era of IP-connected, software-centric technology platforms; we unveil the new and rather scary concept of holding hacked content hostage, something which may have marked a tipping point for the industry; and finally we look at location piracy and how it could be contributing to loss of cultural identity. 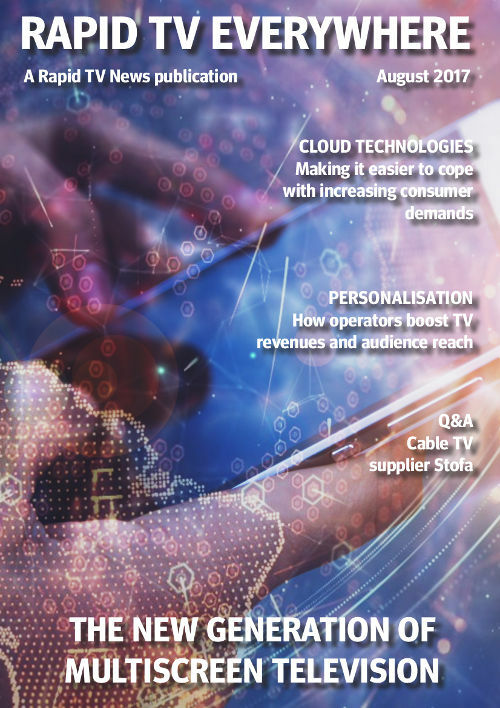 In this month’s issue: we take a look at the rise of IP-based solutions which has seen the cloud emerge as a viable platform for broadcast operations, and in particular how Sony DADC New Media Solutions is using the cloud to make it easier for companies to cope with ever-shifting consumer demands and focus on differentiating solutions. We also cover the new, third generation, of over-the-top services; how the new SVOD giants are turning to localisation; personalisation in linear TV graphics and offers a way for operators to boost TV revenues and audience reach; and we talk to Danish cable supplier Stofa and ask how it enhanced its content protection apparatus to coincide with the launch of a new set-top box for advanced hybrid services. Who hasn’t done it? Who on New Year’s Day hasn’t made a resolution in more than hope than expectation that six months later you’re still on track? Stopping bingeing and being skinnier are classic ones. Well as we enter July after six months of the year, the TV industry can say that it has failed wonderfully on the first and succeeded in the same token on the latter. The plain truth is that midway into 2017 and the industry is as robust as ever; we are continuing to watch more TV in more places for longer and that the surprise hit of the year has been the skinny bundle. A lot of column inches have been given over to the phenomenon of the year but even if undoubtedly skinny isn’t a fad diet, it’s not the only option on the menu. Indeed, there’s a lot more beef to the advanced products and services currently driving the TV market. For example, there is IP broadcasting which we’ve touched on many times this year (and will undoubtedly keep doing so); there’s the next generation of displays screens – we’re not talking about 4K but of 8K; then there is dynamic ad insertion which is now seeing use for major events such as the Champions League final; there’s artificial intelligence which is rapidly gaining attention as its power will allow operators to turn big data into big revenue; and there’s the perennial issue of content protection. All of these are covered in our July issue. We hope as ever you will find some tasty items on out menu. Bon appetite. 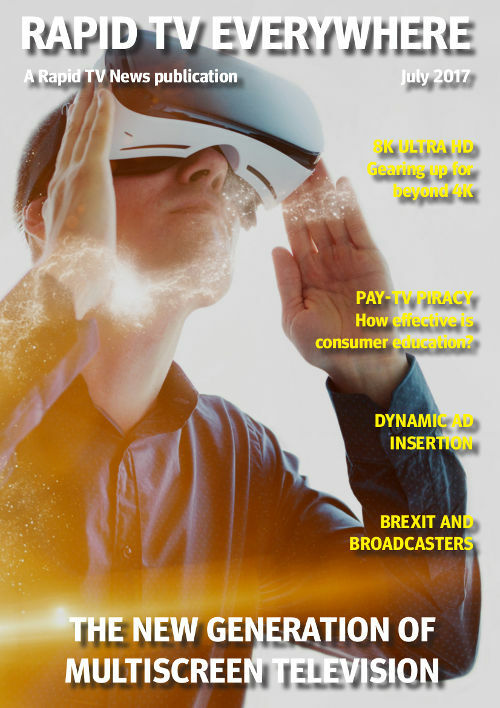 In this month’s issue: we take a look at Amazon and rate its prospects for success in the SVOD space and why live TV may give it a serious USP battling with Netflix; Speaking of TV companies that Amazon will be competing with; we see how Sky has kept high the quality of its multiscreen offer 10 years since launch; we take a peek at IP-based broadcasting and see where it may fit into the TV universe; we see why ‘true’ OTT live streaming could open up a wealth of possibilities that were simply not possible before; and how investing in the right post-production hardware will save a lot of time and frustration. 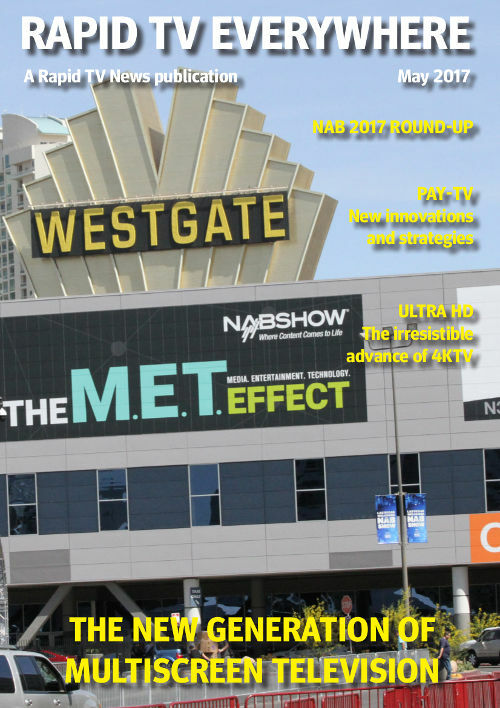 In this month’s issue: we report from NAB 2017 where there may have not been a Las Vegas showstopper but still something out of this world for broadcasting; we look at just how fast Ultra HD is growing given that all the essential requirements for development in place; why pay-TV firms will have to deliver new innovations and strategies to remain competitive over the coming years; how consumers are starting to fully realise how it can make their lives easier; a look at Digital Television Russia who has used multiscreen technology to great advantage. 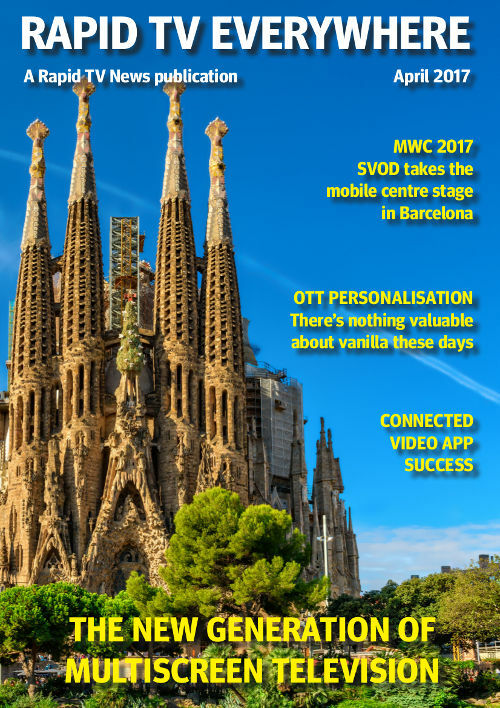 In this month’s issue: we report from Mobile World Congress in Barcelona where subscription video-on-demand took centre stage; why consumers are switching off pay-TV services; why over-the-top services are accelerating the concept of personalisation and how to make OTT pay; why to stay ahead of the curve, providers are turning to out-of-the-box tech solutions; why cord-cutting may be at a tipping point; where pay-TV becomes the norm; and the sea change that the video industry may be taking. 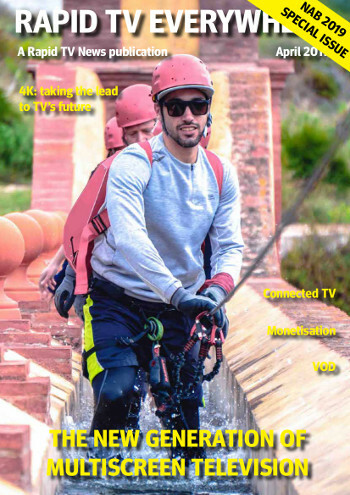 In this month’s issue, we look at: the TV everywhere infrastructure needed to ensure an acceptable quality of experience; satellite delivery networks and their part in the multiscreen ecosystem; digital terrestrial transmission; how SVOD is now a driving force of 4K/Ultra HD adoption; the four pillars of live news; online video’s pain points. 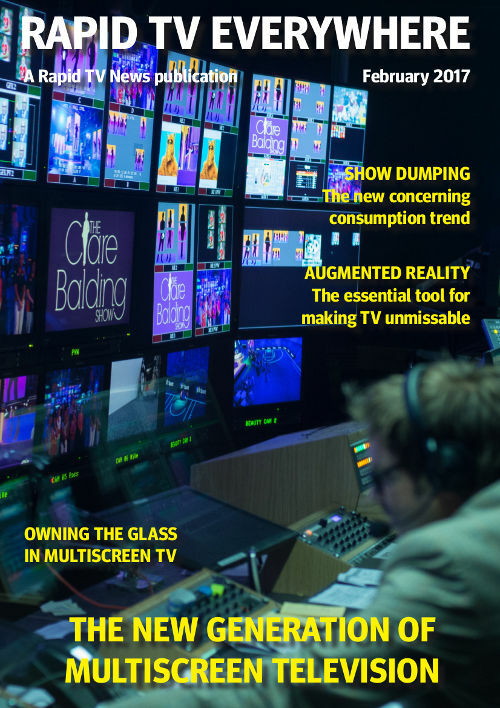 In this month’s issue: we look at augmented reality, regarded in the same way as VR as a potential complementary technology and which can be an essential tool for making TV unmissable; is show dumping a new worry trend in a market where viewers are continuing to feel the shockwaves of an industry in significant transition? ; what does it mean to be a service provider in 2017 when the players have seen disintermediation from customers by OTT players; who ‘owns the glass’ in multiscreen TV? In this month’s issue, we tango into Latin America and find how those driving one of the most important regions for the TV industry hope to keep their foot on the accelerator during 2017; we report from the New York edition of TVOT. What are the industry leaders in the US planning to introduce; we take a look how can the TV industry can fight back against piracy; the steps needed to ensure OTT proliferation in new territories; and finally, we investigate content consumption and why there may be a hidden generational shift at play.